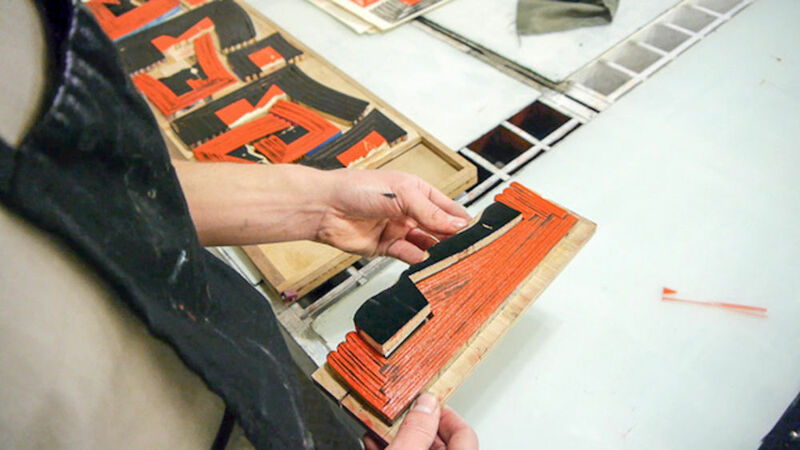 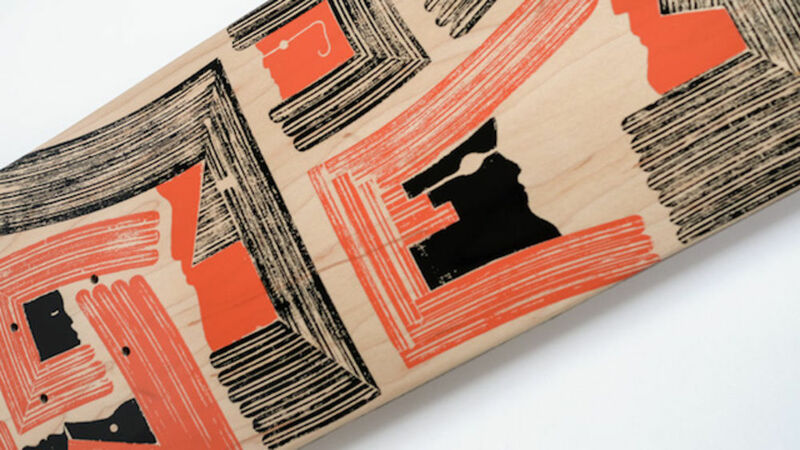 Back in March, we featured the excellent work of illustrator, sculptor and printmaker Nate Harris in Talent and were intrigued by his approach to woodblock printing, which often saw him using offcuts from previous printing blocks to create new artworks (you can read the original Talent feature here). 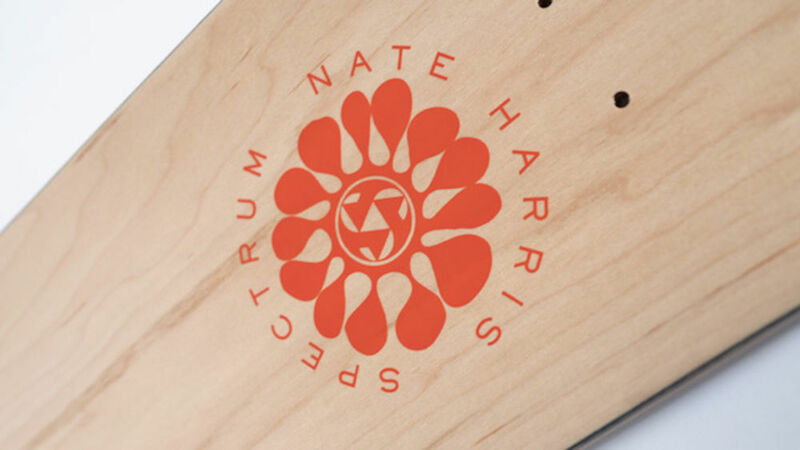 In a new project launched this month with Spectrum Skateboard Co. in Philadelphia, Harris takes this approach a step further. 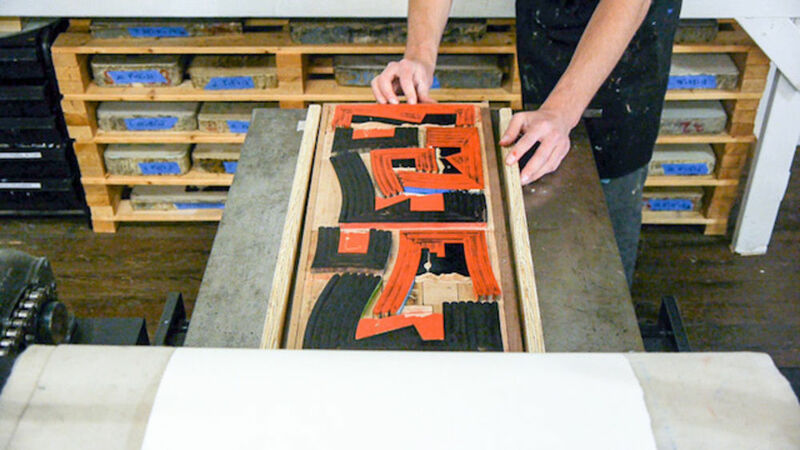 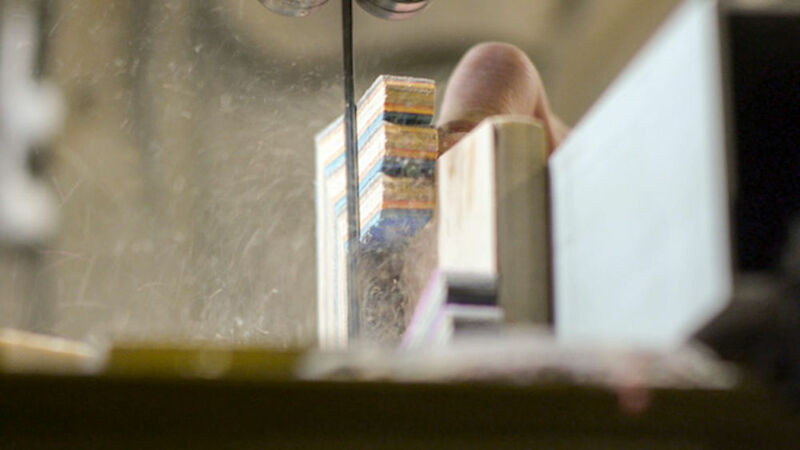 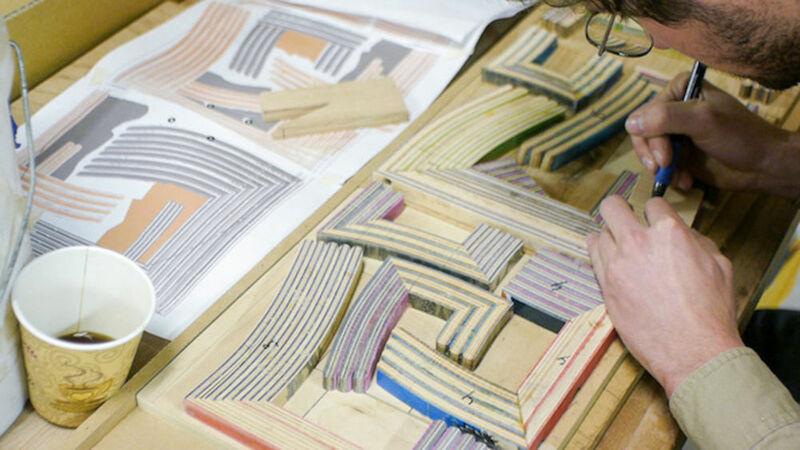 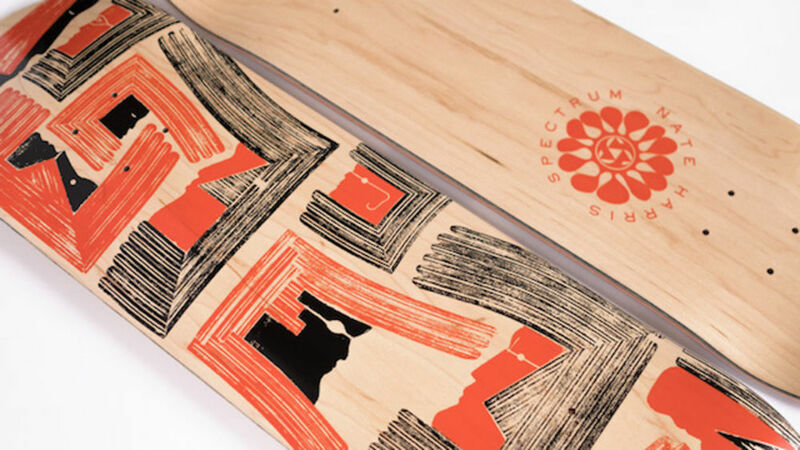 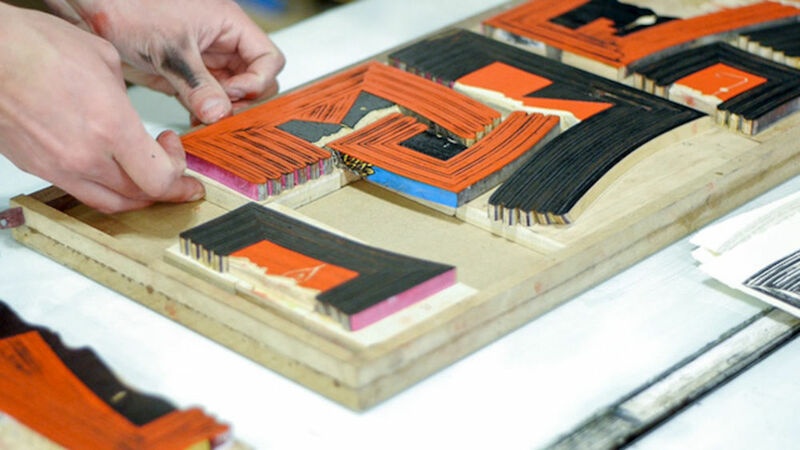 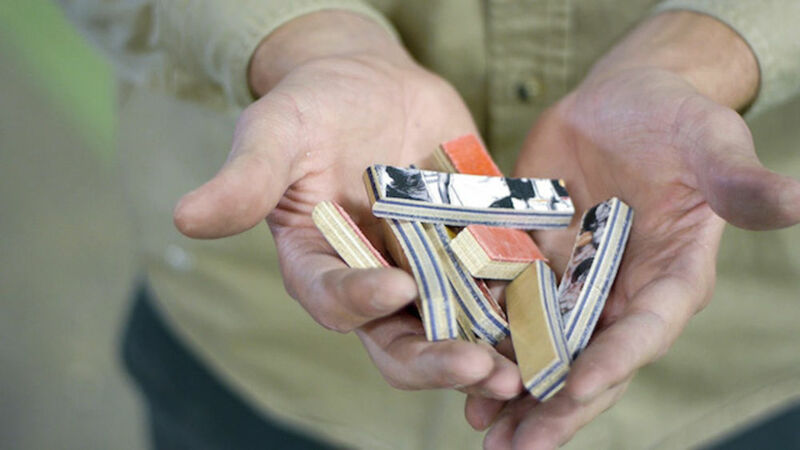 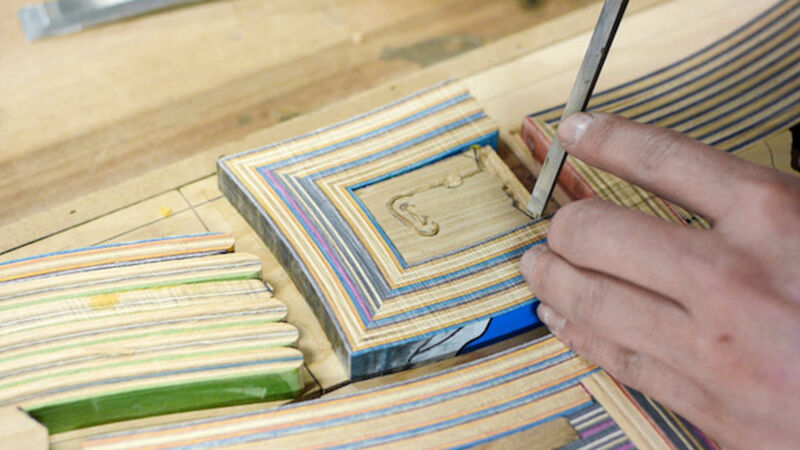 Using old skateboards, cut up and carved, he has created a new woodblock-printed design for use on a skateboard deck, contributing to Spectrum's ongoing series of board graphics designed by local artists. 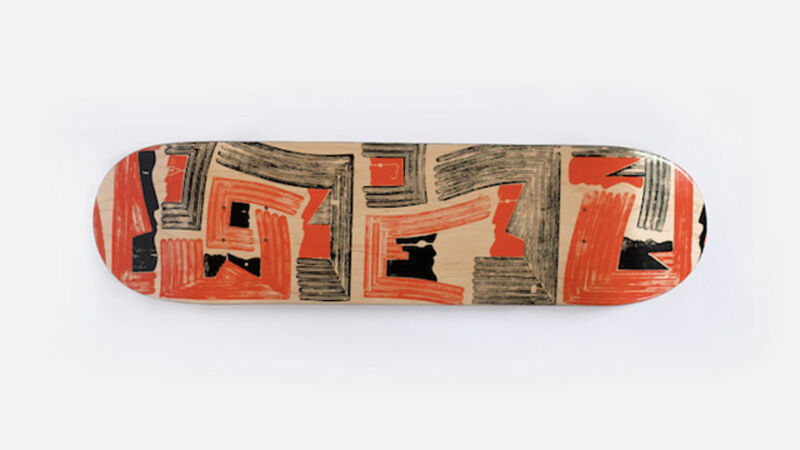 The resulting design celebrates the laminated wooden structure, texture and curves of the original skateboards in a striking new formation, and the resulting boards have been produced in a limited edition of fifty. 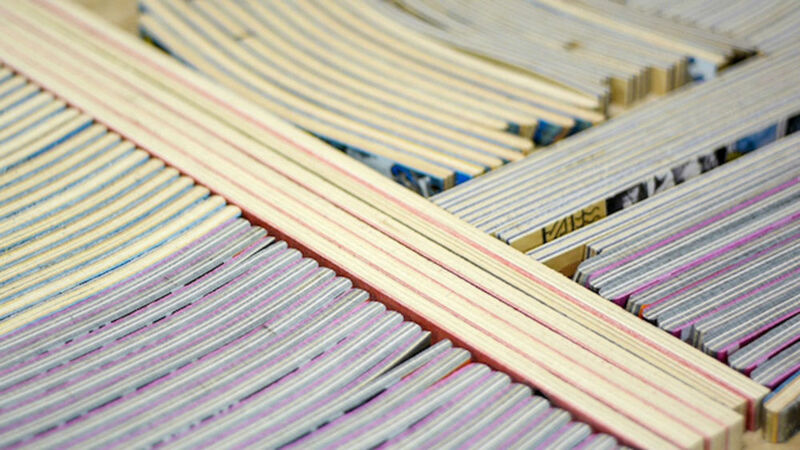 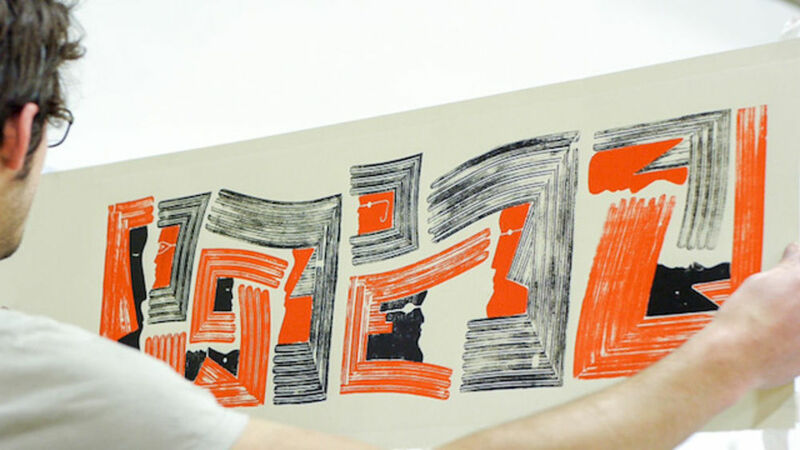 Below, Harris shares some process stills and a short film documenting the design's creation.